 Although Veryan provides less ton tattle and fan flirting than in other volumes of her League of Jeweled Men series (Time's Fool, 1991, etc. ), this tale of an amnesiac gentleman demoted to village idiot in the wilds of Cornwall circa 1746 has action fast and sure, as well as the usual beset and besotted lovers. Believing he was responsible for many deaths, the handsome punching bag known to more sadistic villagers as Crazy Jack has taken an oath to content himself with humble toil and nonviolence. But Jack, whose memory returns in fits and starts, has the accents of a gentleman, a fact not lost upon lovely Jennifer Britewell, only daughter of Sir Vinsom of Castle Triad. 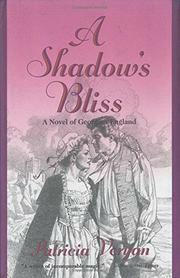 Jack becomes the castle coachman, and love flares amid danger. Jennifer is pursued by a repulsive lord, while Jack sniffs out dirty deeds aborning in an abandoned mine, where the League of Jeweled Men--those toffs out to take over England--are about to make their next move. Hairbreadth escapes and chases enliven the finale, which features some old acquaintances from the earlier Jeweled Men adventures. Veryan's Regency romance fans should not ``fly up i' the boughs.'' They may weary of Crazy Jack's martyrdom in the sticks, but Cornish ghost appearances and a few surprises will probably revive their flagging interest. Regulation Veryan.